"This moist rolled cake has a rich cream cheese filling. Serve it cold. This will be a hit! It has a pinwheel look." 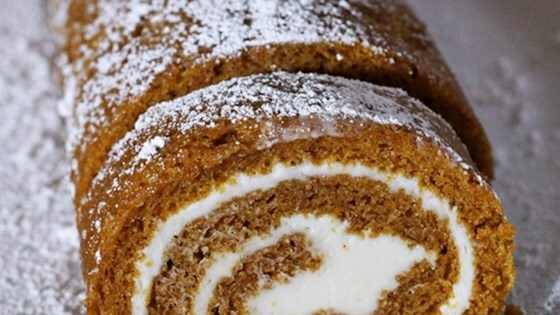 See how to make a sweetly spicy 5-star pumpkin roll cake.